This is one of the crazier camera rumors we've heard in a while. 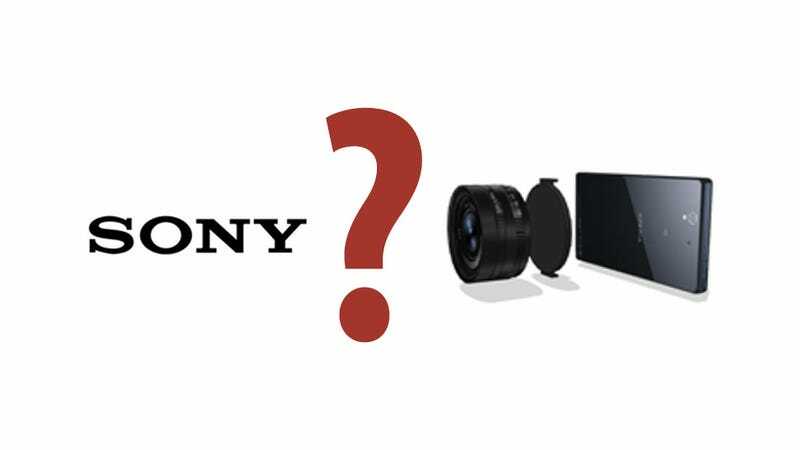 According to some "top sources" at Sony Alpha Rumors, Sony is developing a unique set of lenses that actually contain their own sensors and batteries. Whoa. The lenses are meant to be attached to a smartphone, with the only actual interfacing being Wi-Fi or NFC, by which images would be instantly transferred and live-view would be provided via the phone's display. SAR has been told that the lenses and sensors are the same as the RX100 II. That means pretty darn good quality. Sony has definitely not been shy in experimenting with cameras lately. We've seen the completely unique RX1 full-frame compact, as well as endless NEX mirrorless camera models. This thing, however, is in a whole different league. Clear problems come to mind immediately such as connection/transfer speed between the phone and lens, battery life, not to mention ergonomics.